One of the hardest parts of achieving your health goals is abandoning those delicious, unhealthy desserts. But sometimes, you do need to reward yourself after a week of grueling exercise and dieting. The dessert you choose from doesn’t have to be horrible for you, though. 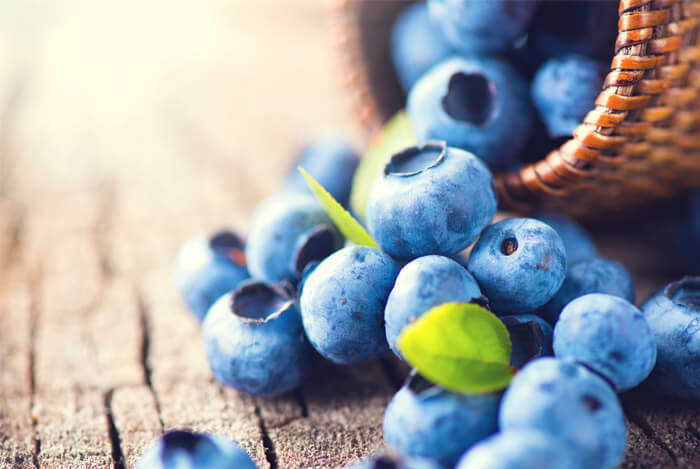 So, once again I’ve compiled a list of some of the most healthy dessert options possible to satisfy your sweet tooth without damaging your diet or busting your belt. These vegan-friendly blondies are the perfect combination of sweet and salty – especially if you sprinkle some sea salt on top before baking them. Preheat oven to 350 degrees F. Grease an 8” glass baking pan and set aside. 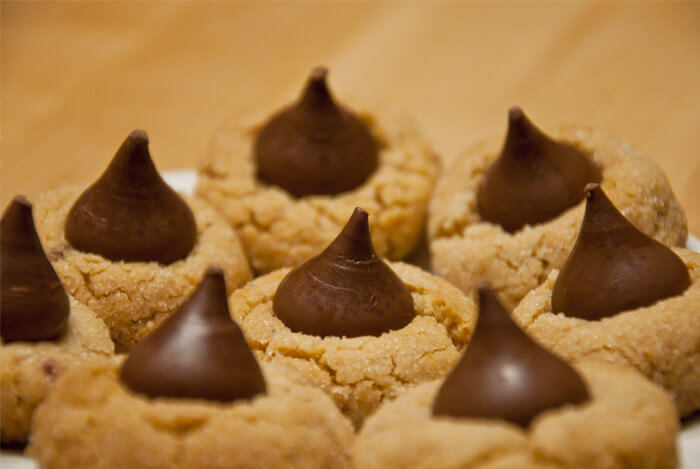 Put all ingredients except for chocolate chips into your blender or food processor. Once smooth, add chocolate chips and mix by hand. Bake in your preheated oven for 20-30 minutes until the edges just pull away from the pan, the top is set and slightly golden brown. 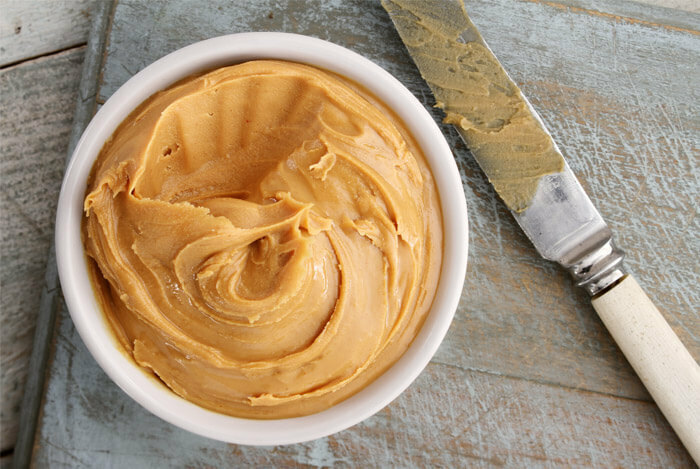 This 5-ingredient recipe is wonderfully simple. Try these as a perfect on-the-go snack! Add all the ingredients to a food processor except for the 60g of blueberries, which are to stir through later. Pulse everything a few times until the mix is nicely combined, but not totally smooth. Leave to cool, before slicing into squares. Rather than using the large amounts of oil needed to make this sort of cake, orange juice and crushed pineapple do the trick. 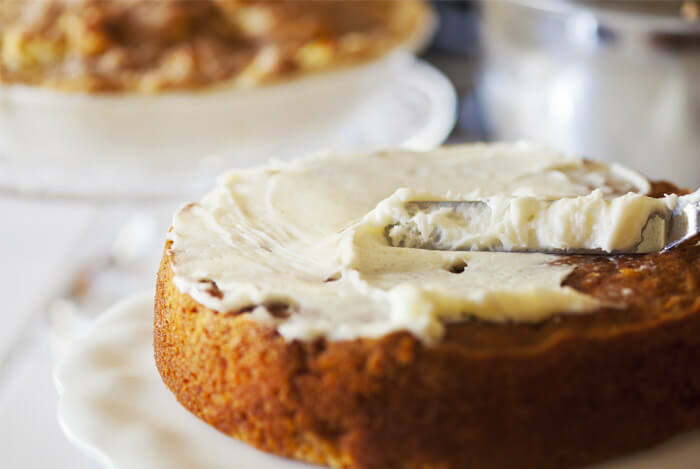 As a result, you’ll have a wonderfully moist cake that’s simple to bake. I personally like this sort of recipe most served in cupcake form, but a Bundt cake will work just fine. In a food processor (a blender is also fine), pulse together eggs, brown sugar, oil, orange juice and vanilla until well blended. Add carrots, flours, pineapple, baking soda and cinnamon; process for 20 seconds, scraping down sides halfway through, until mixture is well combined. Spoon mixture into 18 lightly greased muffin tins or a 10-cup (2.5-L) Bundt pan. Bake in centre of preheated oven for 20 to 25 minutes for cupcakes, or 35 to 40 minutes for cake, or until top of cupcakes or cake springs back when lightly pressed. Let cool in pan on rack. 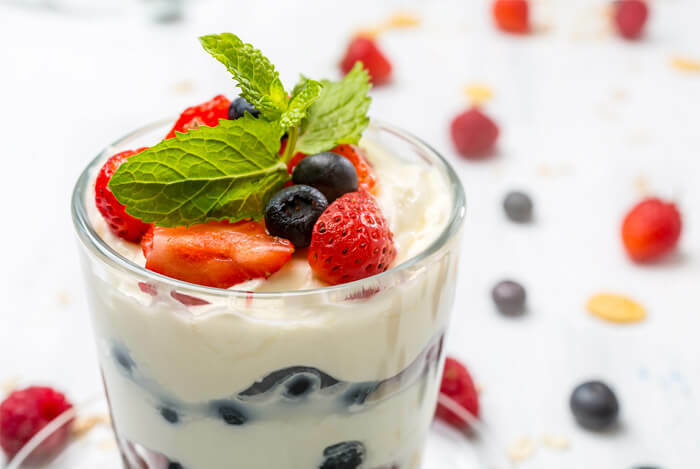 If you love the tanginess, dive right into this awesome, healthy parfait. You may even want to make this a regular dessert so you can get all the awesome health benefits of yogurt! Assemble the parfaits in four 8-ounce glasses. Using measuring spoons, scoop 3 tablespoons of the yogurt mixture into each glass. Top with 1/4 cup of the berries, then another 3 tablespoons yogurt, and another 1/4 cup berries. Garnish each yogurt parfait with fresh mint, if desired. Serve immediately, or cover and refrigerate for up to 2 hours. 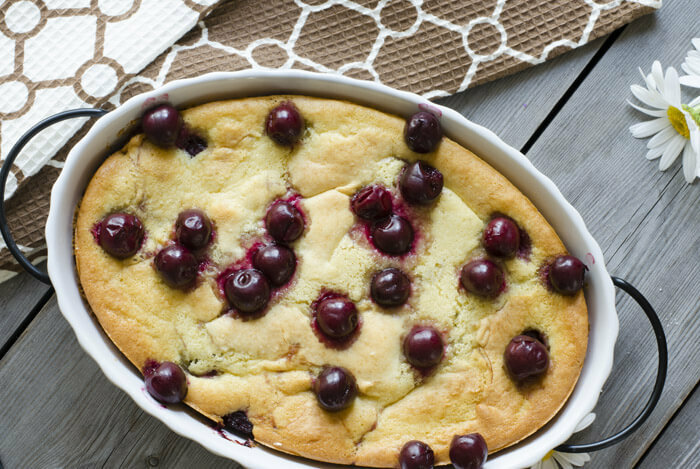 Basically, this is just a big, baked fruit pancake full of antioxidant-rich sour cherries. In a small bowl, sprinkle cherries with 1 Tbsp sugar and set aside. Butter bottom and sides of an 9-inch round baking dish or 6 shallow ramekins. In a medium bowl, whisk together eggs and remaining 1/3 cup sugar. Whisk in flour, a little at a time to prevent lumps. Add milk, cream and vanilla. Drain excess liquid off cherries, and spread in one layer on bottom of baking dish or ramekins. Sprinkle with almonds, if using. Pour batter overtop and bake for 45 minutes (30 minutes for ramekins) or until top is just set and edges are golden. Serve immediately. If you aren’t as big on spice as I am, you can simply reduce the amount of chipotle peppers or remove them completely. I wouldn’t recommend it, though, as the complete recipe (including the peppers) is perfect the way it is. Peel sweet potatoes, and cube. Steam them for 20 minutes. Meanwhile, combine all crust ingredients in the food processor, and pulse/blend until a dough ball forms. Boil water. In a glass container, pour ½ cup of water over dates. Press down to get them all softened under water. Combine all filling ingredients in the food processor, and pulse/blend until mixture is smooth. Pour into crust, bake 35-45 minutes. When I first found this recipe, I’ll admit, my mind was a little blown. 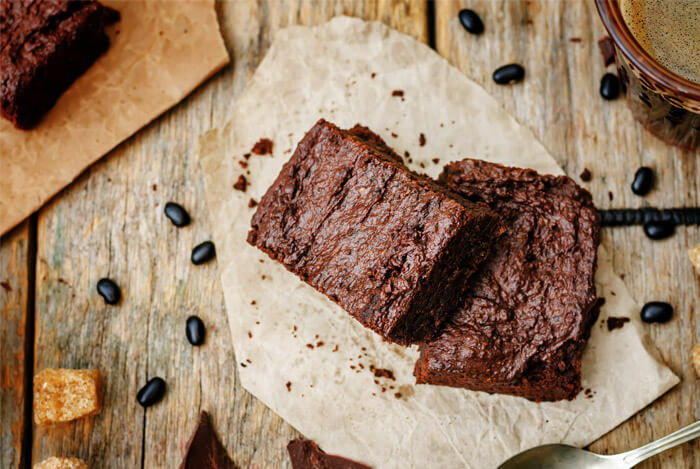 It’s a mixture between a cake and a cookie – who would have thought black beans would work so well with something so sweet? In a food processor, mix black beans, applesauce, honey, hazelnut extract, stevia and almond milk until smooth. Add almondflour, cocoa powder, protein powder, instant espresso and baking powder and blend until smooth. Pulse in egg white, then mix in chocolate chips by hand. Wipe a 6.5″ cast iron skillet with coconut oil, then pour cake mixture into skillet. Bake at 350 degrees for 26-28 minutes or until a toothpick inserted in the center comes out mostly clean. There’s a lot more sugar to this one – so take it easy on these delicious treats. I had to include them though for my gluten-free friends! Heat oven to 375°F. In large bowl, beat granulated sugar, the brown sugar, peanut butter, butter and egg with electric mixer on medium speed, or mix with spoon. Stir in flour, baking soda and baking powder. 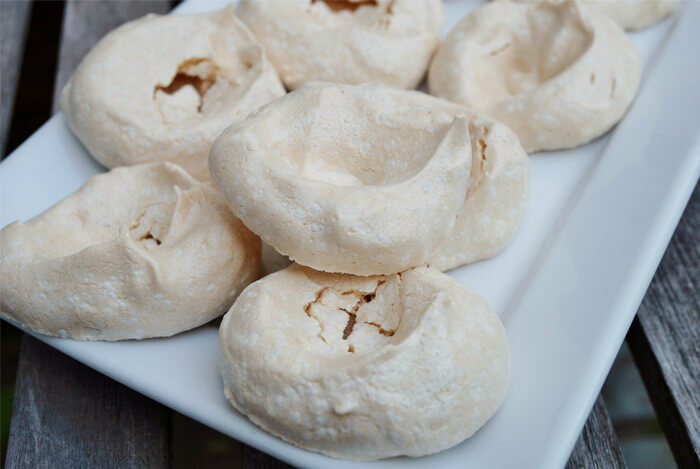 Despite the extreme simplicity of the ingredients that go into most meringues, they’re not the simplest treat to prepare. So, pay close attention to the directions here, and you’ll end up with an awesomely healthy vegan dessert to show off to your dinner guests. Line two baking sheets with parchment paper or a non-stick mat. Put the chickpea liquid and vanilla extract into the bowl of a stand mixer. Beat the liquid on medium speed until it starts to get pretty foamy, 2-3 minutes. Keep the mixer running. 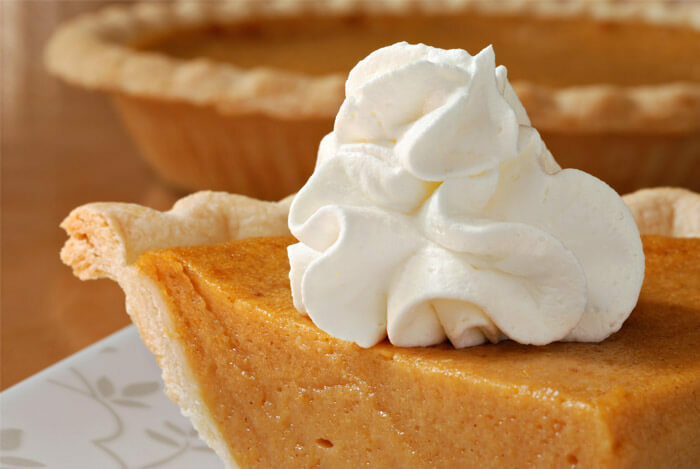 Gradually start to add the sugar to the liquid, a spoonful or two at a time. Keep beating until the mixture is white, glossy, and can hold a stiff peak. Transfer the mixture to a piping bag. Pipe small mounds onto your prepared baking sheet. These don’t spread too much so the meringues can be close to each other. Bake in the oven for 90 minutes. Half-way through baking time rotate the pans so that what was on the top shelf is on the bottom and what was on the bottom is on the top. Also rotate the pans so what was facing the back of the oven is now facing the front. What’s your take on these dessert recipes? Have anything else you’d like to share? Let me know in the comments below!